For the last few weeks, Laguna kindergarten students have been researching and learning about the habitats, life cycles, bodies, and diets of ocean animals. 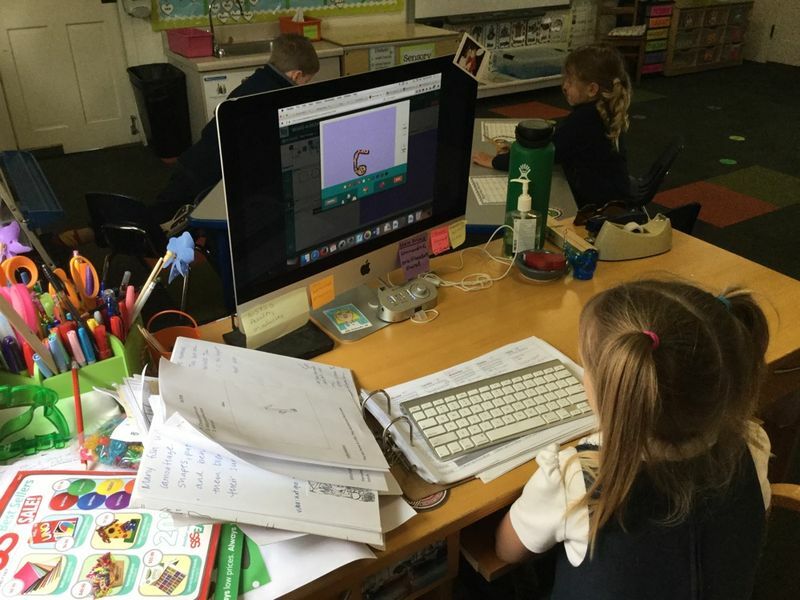 Based on this research, students recently created and presented BrainPop movies. Click here to read more and watch the videos. 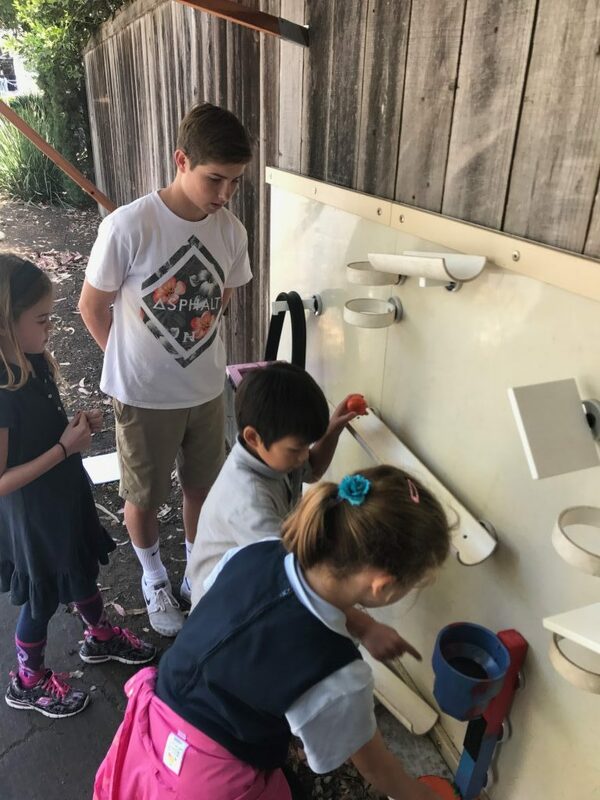 This week, Upper School students in Mr. Moore's engineering class visited the first graders to create a piece for the Lower School's Magnawall. This project was originally created by Mrs. Delwiche and Mr. Moore in the fall. Now it is the first grade's turn to contribute! Click here to read more. 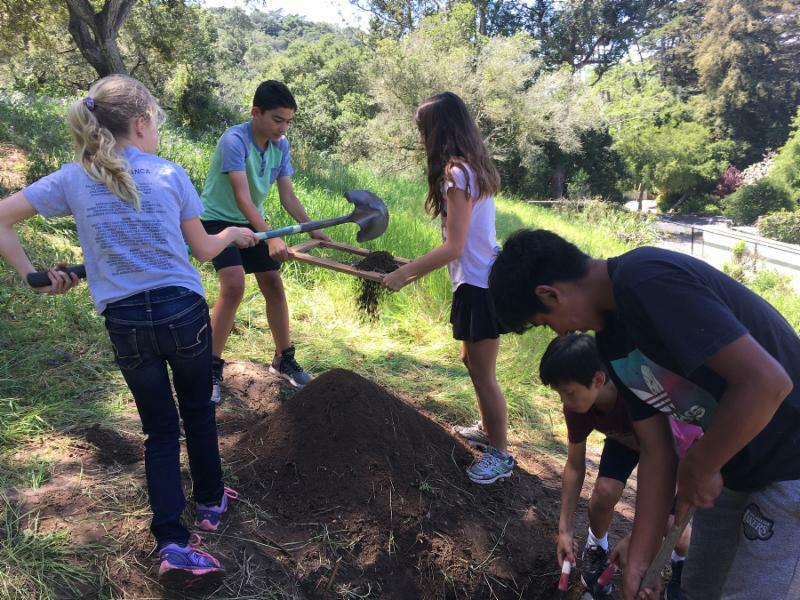 This week, sixth graders upheld a longtime Laguna tradition by excavating student-constructed ancient artifacts for their Archeological Dig unit. Students divided into excavation teams to conduct formal research on an ancient culture, learned the foundations of research writing by composing an extensive research prospectus on their "secret" civilization, then made and buried artifacts representative of that culture. They then rotated dig sites and excavated each others' civilizations! Several Laguna students are set to take the stage in Santa Barbara Youth Ensemble Theatre's May production of How to Succed in Business Without Really Trying. Read more below about these Owls' acting journeys, as well as their roles in the show. 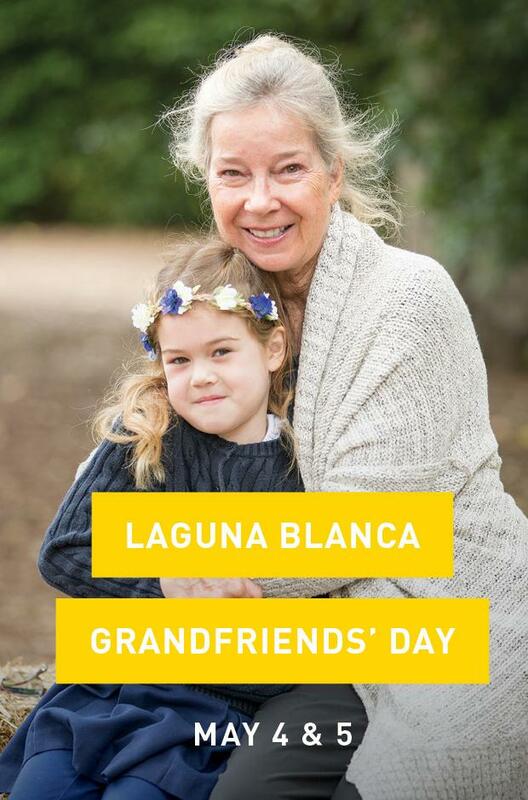 Magdalena Amezaga '24 has always loved to sing, dance and act and says Laguna has provided her a wonderful outlet for all of these desires, noting "Some of my greatest memories are participating in all of the lower school plays." 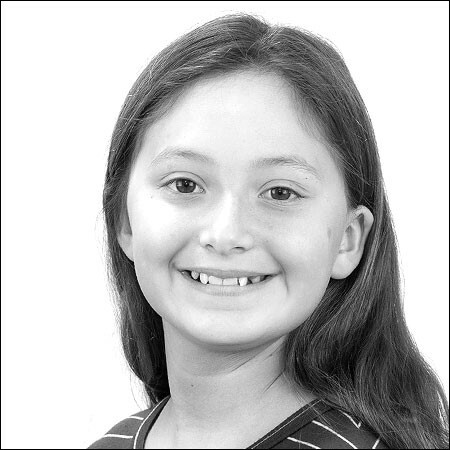 In SBYET, Magdalena enjoys the instructors, fun cast mates and high energy shows. Magdalena plays Rosemary (matinee cast)--the secretary at the company who is more interested in falling in love than advancing her career. 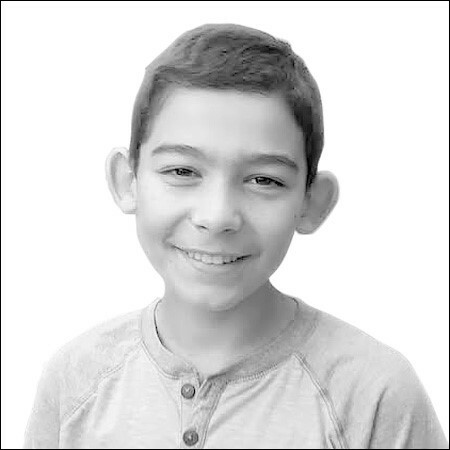 Luca D’Agruma '23 grew up listening to stories and pretending to be his favorite character in movies. He says his mother always knew acting would be great for him, but he was a bit unsure until he joined an acting group performing "The Hobbit." Shortly after, Luca was accepted into SBYET. He looks forward to his first show at the Lobero. Luca plays the part of Bert Bratt (evening show)--the personnel manager who holds a commitment to company rules. Juliette DuPrau '25 has been dancing, acting, and singing since she was four years old and has performed in over 20 Adderley/SBYET shows, as well as performances for Opera Santa Barbara and Gustafson Dance. Juliette also enjoys singing with Ms. Markstrum at the lower school. 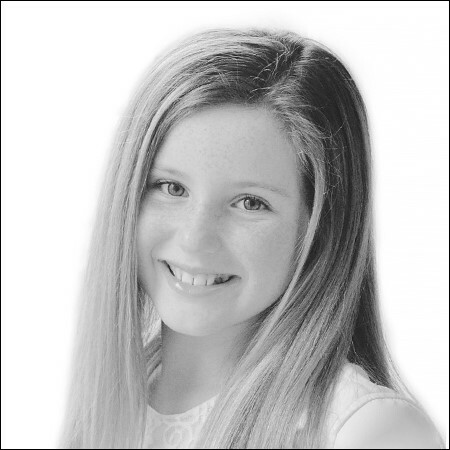 In the show, Juliette plays Hedy LaRue (matinee cast)--an attractive young woman with no secretarial skills, who causes chaos and comic relief. 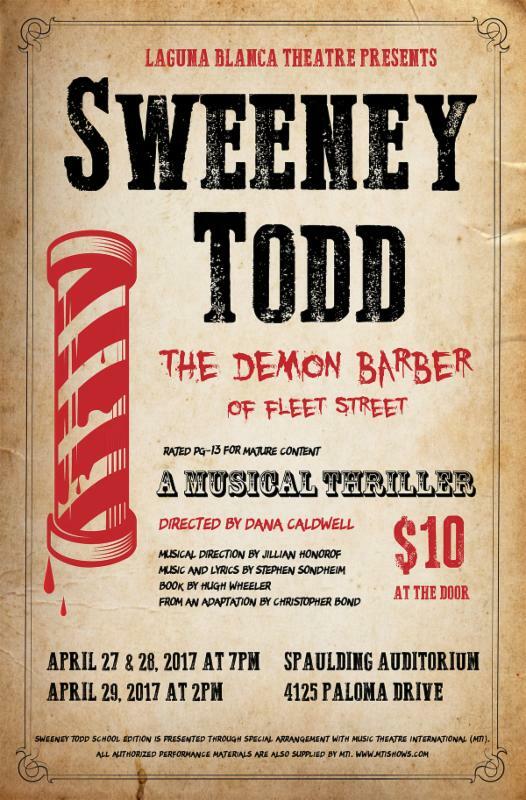 You can see all of this Laguna talent on stage at the Lobero Theatre on Saturday, May 13 and Sunday, May 14 at 2PM and 6PM. 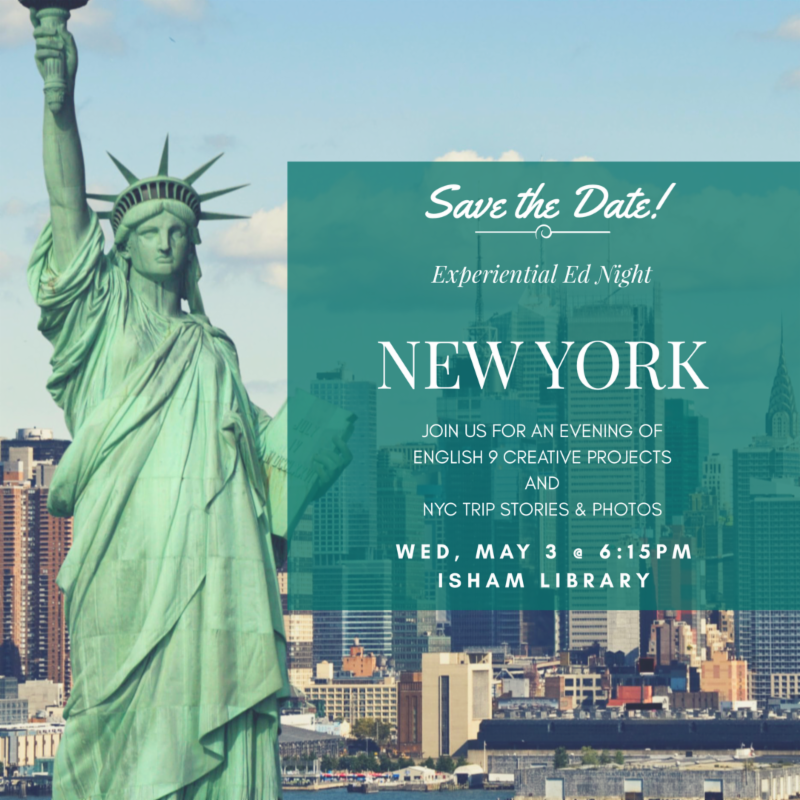 For ticket information, click here . Soar on the big stage, Owls! This Saturday, Laguna will host Revolution Prep Practice Exams for the ACT, in order to provide an opportunity for students to practice taking a full-length, proctored practice test in preparation for the official exam. 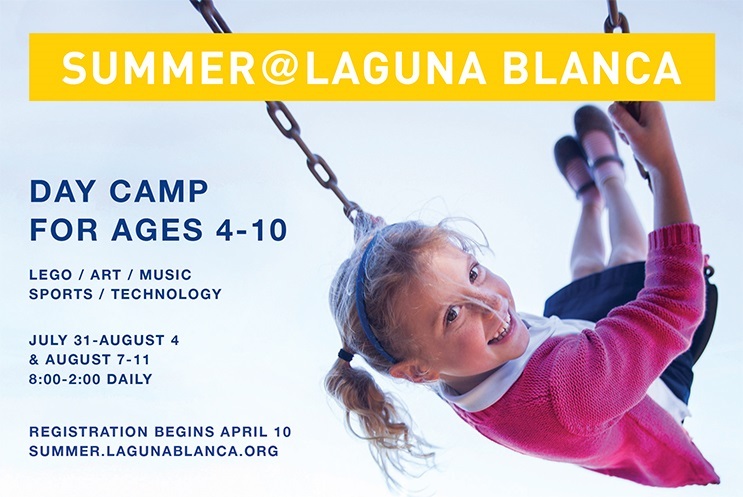 The exam will take place in Laguna's library and is free. An ACT Practice Exam will be held at Laguna on Saturday, April 22, 9AM-1PM. 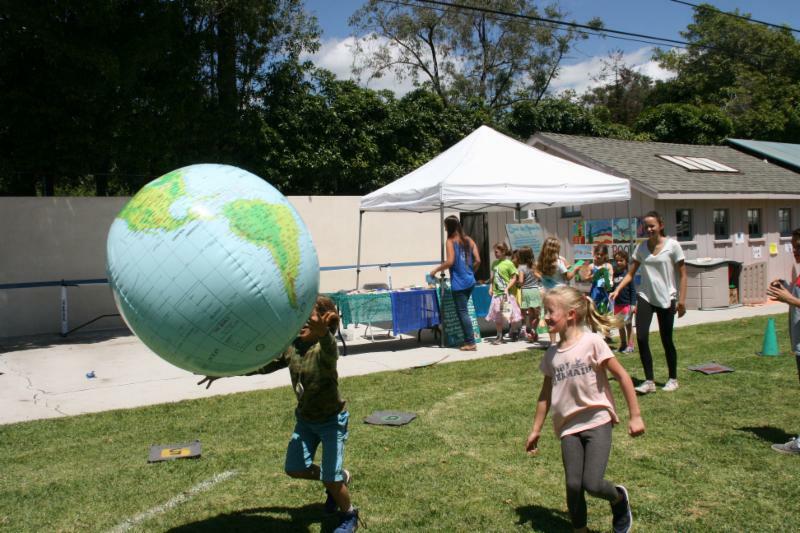 The Lower School Earth Day Festival is happening this afternoon. 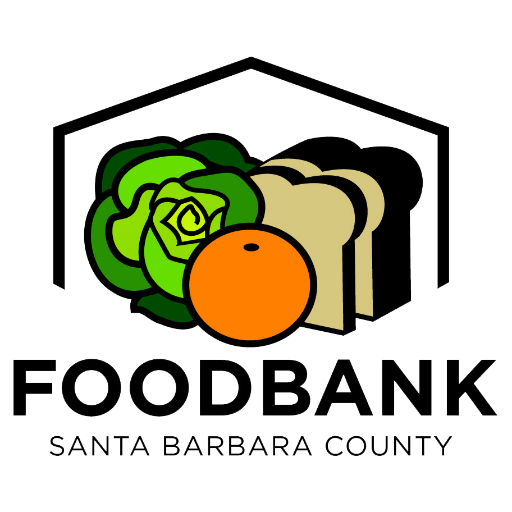 Visit the Montecito campus to learn more about solar power, recycling, composting, trashless lunches, and of course, enjoy fun Earth-themed games! The fifth and sixth grade classes will join the fun to showcase the summation of their efforts toward their sustainability project at the Middle School this year. Kindly RSVP to Blaire Ridge. 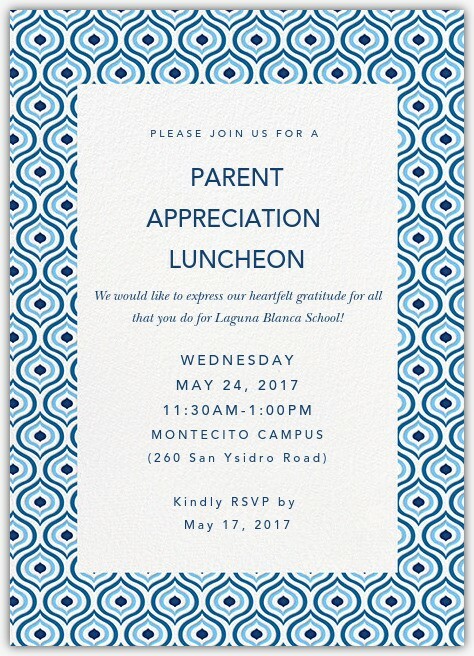 Come learn about the launch of MyLaguna, the new Laguna parent portal.